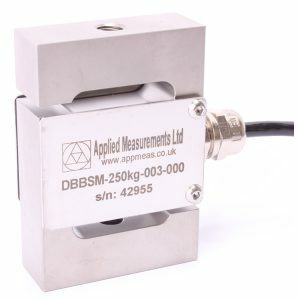 The WS10 draw wire displacement sensor range is designed to allow position, displacement or length measurement in most common industrial situations and is available with ranges from 0-100mm and 0-1250mm. The precision rotary potentiometer sensing element upon which the WS10 draw wire displacement sensor is based offers superb accuracy with linearity better than 0.1%/FS coupled with excellent resistance to shock and vibration. An R1K potentiometer output is provided as standard with the option of integral signal conditioning to 0-10Vdc, 4-20mA or a digital SSI output as preferred. User-adjustable 0-10Vdc and 4-20mA output versions are also available. The very compact IP65 aluminium and stainless steel enclosure allows the WS10 draw wire displacement sensor to be mounted easily even where space is at a premium. Typical applications for the WS10 draw wire position sensor include aircraft system testing, tensile test machines, automotive, research and industrial automation.